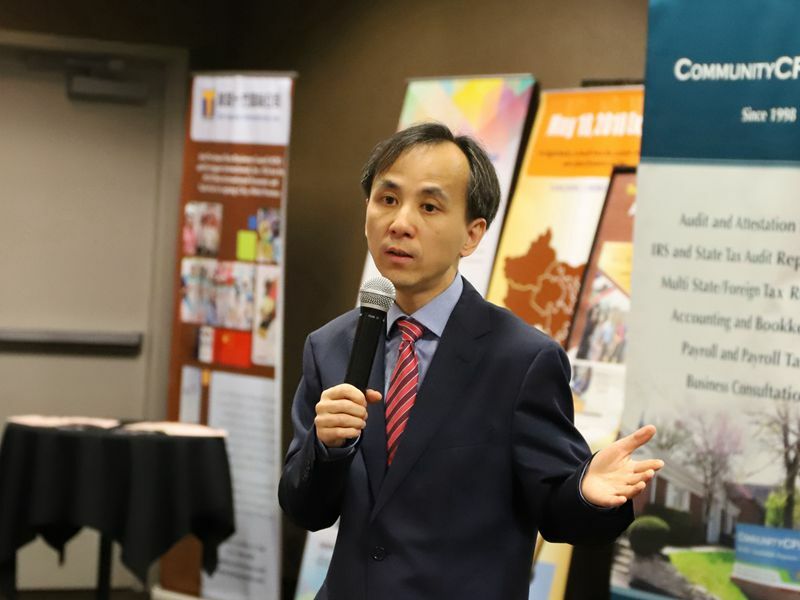 On May 3, 2018, Deputy Consul General Liu Jun attended the Iowa-China Business Forum held in Des Moines, Iowa hosted by the Iowa Chinese Association. Mr. Frank Cownie, Mayor of Des Moines, Mr. Patty Judge, former Lieutenant Governor of Iowa, Mr. Yan Xiaozhe, President of the Chinese Association of Iowa and an investor delegation from Guangzhou, China attended the event. Participants discussed issues ranging from Sino-US friendship to business cooperation. Deputy Consul General Liu Jun said that Iowa has a special relationship with China. Chinese President Xi Jinping has visited the state twice, leaving behind many touching stories. Iowa is renowned for being the granary of the United States. China can learn from many fields of the Iowan economy such as agriculture, agricultural machinery, scientific research, and finance. We support Chinese companies in engaging in investment cooperation with partners in Iowa. At present, trade tensions between China and the United States have attracted worldwide attention. The cooperation between China and Iowa is facing a major challenge. Just like our friends in Iowa, we do not want to see a trade war that would harm both China and the United States. We hope that the two nations will resolve relevant challenges through dialogue and consultation on the basis of mutual benefits and equality. The Chinese Consulate General in Chicago will continue to facilitate and support pragmatic cooperation between China and the Midwestern states including Iowa. Iowan officials including Mayor Cownie welcomed the Chinese investor delegation and introduced to them the economic development conditions of Iowa and Des Moines. They said that China is an important trading partner of Iowa. China is Iowa’s fourth largest export destination and the second largest source of imports. Iowa attaches great importance to its special relationship with China. The Iowan government is committed to deepening its cooperation with China and hopes to further strengthen its economic and trade ties with China for win-win outcomes.